Stephanie Bentley-Wright knows and loves Wilson County and the surrounding area and has been actively involved in real estate since 2003. She is one of the most dedicated and experienced agents in the area, and her dedication and commitment to every client is unmatched! Working with a Realtor is the best decision you can make � whether you�re just starting your search for homes in Lebanon, Mt. Juliet, Watertown, Gallatin, Murfreesboro or anywhere in Middle Tennessee � and just like all of her satisfied clients, you�ll never regret your decision to work with Stephanie Bentley-Wright. Buying or selling, Stephanie has the knowledge and experience to guide you through the process. 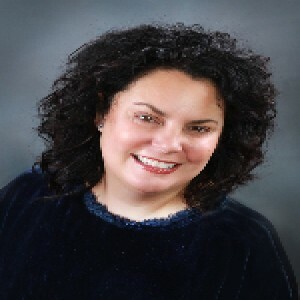 As an agent for Blackwell Realty and Auction, Stephanie is backed by one of the leading Real Estate firms in the area. Leveraging their advertising and marketing abilities means you�ll have the greatest exposure and access to the widest arrange of properties and markets available. When you work with Stephanie Bentley-Wright you�ll benefit from her tenacity, experience, exemplary work ethic, and vast knowledge � but you�ll also get a Realtor that understands the personal nature of home or land purchase. As any of her satisfied clients will attest, once you work with Stephanie Bentley-Wright you�ll never look for a Realtor again and you�ll know that anyone you refer to her will also benefit from best possible choice in the Middle Tennessee and Wilson County area! Stephanie Bentley is the Epitome of Professionalism. I love spending time with my family, boating, gardening, and shopping for antiques.